In August we visited Kariega Game Reserve in South Africa. 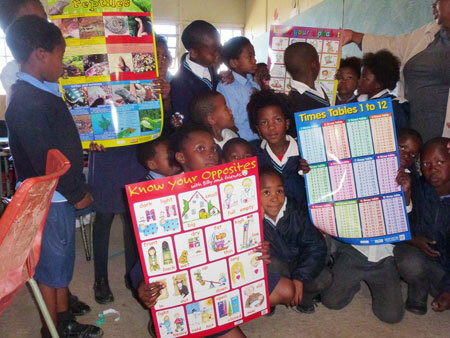 We had heard of Pack for Purpose and after getting in touch, we were put in contact with the team at Kariega. They support a local farm school with volunteers and providing supplies. We decided that participating in Pack for a Purpose was something that we should do, so we gathered up a range of school supplies including pencils, rulers, chalk, etc., and packed our case. We were also looking for posters and found a fantastic supplier who donated one poster for each one we bought, so we then also had thirty posters to take. We were able to take the supplies to the school ourselves and see firsthand what the school was like and the lack of resources they had available to them. It was an eye-opening experience for me as a head teacher in the UK. The children sang for us and it was fantastic to see their faces when they opened the package of posters. We will definitely be doing this on our future holidays.